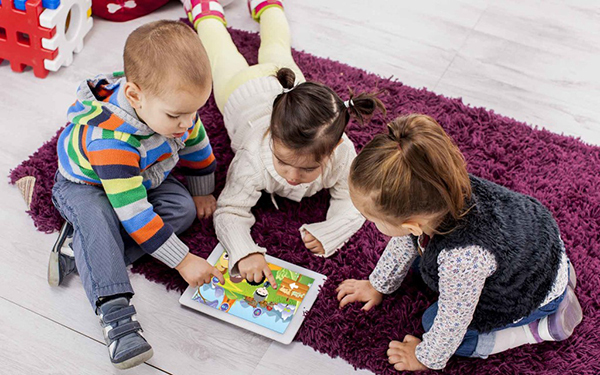 Hitting the right note with educational apps for young kids is tricky. Sitting in one place for more than two beats of a flea’s heart goes against a three-year-old’s every instinct, so the app has to be fun and entertaining at the same that it’s teaching a lesson. The Mini Prep app manages all those things. It’s developed for kids aged three to six years by an early childhood teacher who knows all the trickiest tricks to get kids to learn while playing. Kids choose one of four superhero avatars and play games that teach them about numbers, letters and colours. The alphabet and number lessons start from the basics, getting kids to match, in order, their ABCs or numbers from one to 10. Once they’ve completed the basic level, the games move on, offering kids random letters and numbers to match with their mates. The alphabet lesson does a great job of sounding out each letter and giving example words. My son’s favourite is “D” for dinosaur. And in a move that surprises no one, his least favourite is “V” for vegetables. The colour-matching game is my favourite. Kids spin a colour wheel and have to pop all the bubbles in the corresponding colour. It’s the perfect activity for raising a new generation of colour-savvy, bubble wrap popping enthusiasts. As I write, my eldest is standing frozen in the hallway, holding my phone, popping all the blue bubbles. He just announced, “this is very good game, mummy.” A kid stamp of approval if I ever heard one. Mini Prep is available for iPhone and iPad and you can get it at the iTunes store for $1.29.